Needlework Videos. Crochet and Knitting Guide. Needlework videos are ideal for those visual learners. You can get so much more out of seeing a technique done than trying to visualize it from written or spoken instructions. There is a well known statistic that the majority of people are visual learners. This page is for us - for the majority. I've selected how-to videos about two kinds of needlework: crochet and knitting. This way you can watch and learn the process of crocheting or knitting step by step. The natural way to learn crocheting is to take some small project, like Granny's square for example, and follow it one step at a time. This way, your understanding of all those techniques like single crochets, slip stitches, slip knots, and so on comes very quickly. 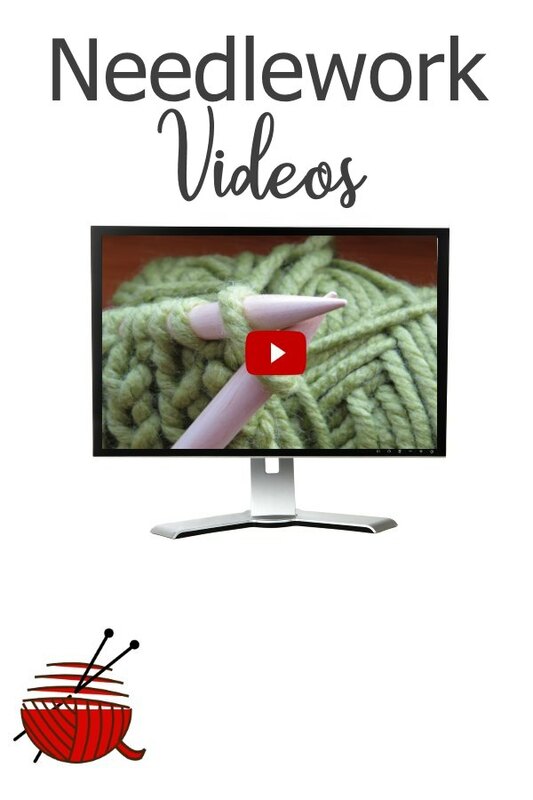 There are two groups of crochet videos in our video library. Both of them are presented on the separate page with more Crochet Videos. Crocheting Granny Square: chain, 1st row, 2nd row, 3rd row, connecting squares together. Bullion Stitch: how to crochet it. Cluster Stitch: family of cluster stitches. Crochet-in-the Round. A single and a double crochet circle. Here is a good news for you. There are only 2 stitches in knitting: the KNIT (K) stitch and the PURL (P) stitch . Once your are familiar with them, it is quite enough to make your own projects: scarfs, blankets, shawls, and so on. Besides that, you have to know how to start (to CAST-ON ) your project, and how to finish (to BIND-OFF ) it. Each Knitting Video for the very beginners step-by-step will teach you these basic techniques.